Activity Type: Self-guided heritage tour. Start: Museum of the Pioneers in Villa O’Higgins. End: Any small town and village in the region. Distance: You can incorporate this route into your travel itinerary by looking for Fr. Ronchi’s work in each of the towns and villages you visit. Special Considerations: Many of the people who live in these areas knew Fr. Ronchi, and worked alongside him, in some of his many projects! If you find yourself with the chance to chat, ask about their memories of Fr. Ronchi’s many travels through Patagonia, and the time he spent in their communities. Reservations: Self-guided activity, no reservations needed. Father Antonio Ronchi arrived in Chile in 1960, at the age of 30, and dedicated the remainder of his life to work within her most rural and isolated communities. 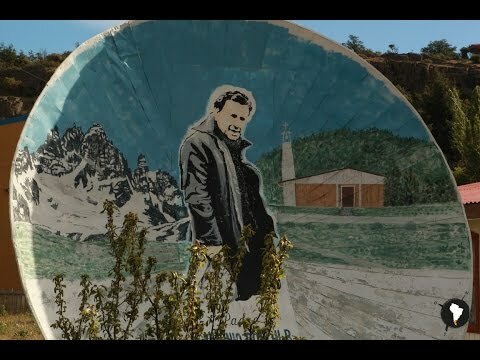 He had many loyal followers and friends within Aysén, but he also had his critics; many of his peers did not agree with his focus on the poorest and most isolated communities of the region and others did not approve of his methods, which they considered uncommon and unconventional. One of the unique aspects of Father Ronchi’s style was his use of a “minga” approach. This approach was borrowed from the Island of Chiloe, a bit further north in Chile, where many of the Aysén settlers had ties. When communities in Chiloe had challenges or problems to address, people came together to solve them as a community; each making a personal contribution to the project, based on their individual talents and resources. In Aysén, Fr. Ronchi would go door to door, calling on each and every person in the entire community in which he was working, often walking the long distances from farm to farm, and asking for their aid in the development of each particular project. From donating wood and supplies, to putting in hours of hard labor in construction, to providing food for the workers; everyone in the town would help in some way or another. This was one of the main reasons why Fr. Ronchi is still so highly praised; beyond helping build infrastructure, he helped connect communities. Father Antonio Ronchi was born February 3, 1930, in Balsamo, Milan, Italy. He first traveled to Chile in 1960, with the Mother of the Divine Providence mission. After a year, he was sent south to Puerto Cisnes, a small coastal town in the north-central area of Aysén. During this assignment, he spent seven years in the rural communities of the Region, visiting communities and rural households, conversing with local authorities and business interests, searching for ways in which he could garner resources and assistance to improve rural living conditions. Rural areas in the Region were still very isolated. Imagine a place surrounded by dense forests, mountains and fjords; perhaps the very place you are in now, while reading this article. But in these years, there were no roads or cell phones or WiFi. Access to electricity was uncommon for most families in the Region and infrastructure was extremely sparse. There were few roads, schools, medical facilities, and churches. Communication largely occurred through news passed along from farm to farm. There was UHF radio; however, only the government or Rural Health Posts had equipment. Residents needed to reach these posts and ask permission, in order to send a message. Fr. Ronchi’s second assignment in Aysén began in 1972 and lasted approximately 20 years. He worked tirelessly, traveling to each and every corner of the Aysén Region, especially those that were considered unreachable. He helped communities build small churches, workshops, boats, docks, and schools. He helped them obtain small water turbines for electricity and installed a considerable number of FM radio antennas to improve communication. In 1994, Fr. Ronchi was awarded Chilean nationality in recognition of his extensive work for the isolated and impoverished inhabitants of the southern regions. This official recognition went beyond his achievements; also emphasizing his austere, enterprising approach and dedication to the communities he served. On December 17, 1997, Fr. Ronchi passed away at the age of 67. His remains lie in the cemetery of Puerto Aysén, Chile. 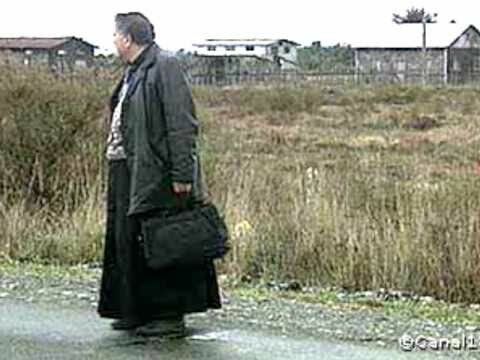 You’ll find Father Ronchi’s legacy scattered throughout Aysén. Father Ronchi’s works are so numerous that you could stop in almost any town or village in the region and ask for recommendations on where to go and what to see relating to his mission. Here are a few examples that will get you started. Villa O’Higgins: Along the northern side of the Plaza de Arms you will see a yellow building. In 1977, Fr. Ronchi and the community built this building as a church. Currently, it is the Museum of the Patagonia, dedicated to Fr. Ronchi, honoring his decades of work for the development of the region. Museum exhibits include aspects of his work, especially his projects in Villa O’Higgins and several historical objects that depict the colonization and local traditions of the sector. You can also visit his private quarters in a small room to the side of the church, where he had his personal possessions and readings materials. Seven km north of Villa O’Higgins, just before you reach the Van Schouwen Bridge over the Mayer River, you will encounter a road leading to your right. Turn right to follow this side road, which follows the course of the Mayer River for 47 Km, before arriving at the Mayer River Border Control Post. About 18 Km from the crossing, you’ll encounter the emblematic chapel set back in a small meadow, on the right side of the road, that makes use of a pioneer building practice called Canogas, which consists of hollowing out tree trunks and interweaving them to form a roof. Fr. Antonio Ronchi built the Chapel with help from residents of the communities of Villa O’Higgins and the Mayer River Valley. 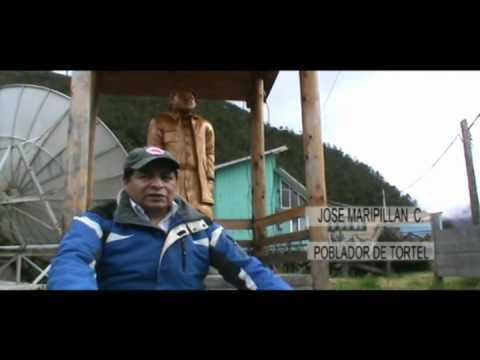 Puerto Yungay: Here you can visit the four houses constructed, minga style, with Fr. Ronchi in the 1980s, seemingly in the middle of nowhere. In addition to these houses in Puerto Yungay; he worked with settlers to build a school, a chapel, and workshops in which inhabitants could work. In fact, his project even included installation of an indispensable turbine, to produce the energy necessary for this would-be town. Ronchi’s vision was that families living in Caleta Tortel would leave their houses and relocate to Yungay. He felt it offered more options for access, as the Carretera Austral was connected as far as Yungay. He argued that in fact, Yungay provided important access to the Pacific, through the Mitchell Estuary and was a more feasible location to build a town. At the time, Caleta Tortel could not be reached by road; access was only by light plane or boat. Travelers left from a sector named Puerto Vagabundo and navigated the Baker River to arrive through the Bay. Ronchi’s plan never materialized, and it took until 2003, almost 20 more years, for roads to finally reach the isolated town of Caleta Tortel. Caleta Tortel: The works of Fr. Ronchi in the community of Caleta Tortel can best be discovered meandering along the many boardwalks of the town. You’ll encounter a full sized wooden statue of Fr. Ronchi standing outside of one of his famous chapels. In addition to this small church, which is still in active use, Fr. Ronchi supported the creation of the first FM radio and television antennas for the town. Although the satellite dish you see today is a much later addition, it’s a constant reminder of the efforts Fr. Ronchi made to connect Caleta Tortel with the outside world. As in Puerto Yungay, Fr. Ronchi helped the community build their first hydroelectric turbine, providing much needed power for this isolated town. He also constructed a boat to help transport residents through the fjords and assist with their economic development. Today, the boat is no longer in use and its condition has deteriorated; but its shell is still intact and can be seen next to the main docks of Caleta Tortel. We invite you to continue discovering the life and history of Father Ronchi. In addition to the sites we’ve highlighted, you can find Fr. Ronchi’s works in almost all of the towns and villages of Aysén: Puerto Gala, Puerto Gaviota, Raúl Marín Balmaceda, La Junta, Lago Verde, Puyuhuapi, Villa Amengual, La Tapera, Puerto Cisnes, Villa Ortega, Villa Cerro Castillo, Puerto Ibáñez, Bahía Murta, Fachinal, Los Ñadis Sector, Caleta Tortel, Puerto Yungay, Mayer River Sector and Villa O’Higgins. The tomb of the beloved missionary is in Puerto Aysén. Almost all Ayséninos share a love and respect for Fr. Ronchi and his work, that you will likely share after learning a bit about him and his incredible life. The area surrounding the Caiquenes Lagoons is a public Nature Reserve and Conservation Area, managed by the Aumen NGO, which puts heavy emphasis on scientific research. Located on the road between Puerto Yungay and Caleta Tortel, this is a landscape that merits a closer look!